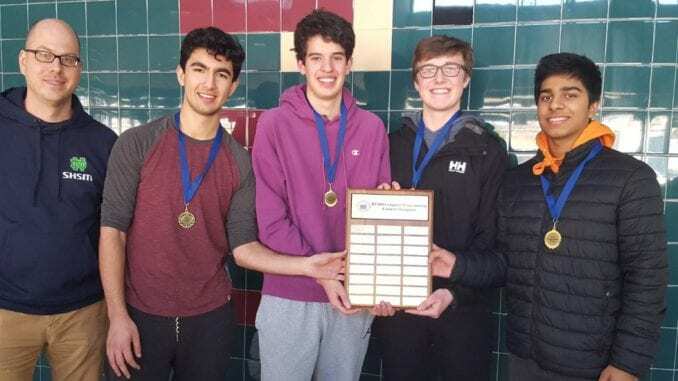 A team of four tech-savvy Notre Dame CSS students placed first at this year’s Educational Computing Organization of Ontario (ECOO) sponsored Computer Programming Contest at the Halton Catholic District School Board. The contest involves teams of four students who are challenged to solve four programming problems in three hours, using one computer. The teams have the ability to use any programming language they choose. This year’s contest was held at Christ the King CSS on March 25th, 2019. Teams from across the HCDSB competed for a chance to represent the Board at the regional level contest to be held in April at York University in Toronto. Congratulations to the Top 3 winning teams! Learn more on HCDSB’s website.